My New Business: Do I Really Need a Lawyer? Starting a new business can be daunting. You already have a great idea, but now you’re making that idea a reality. You’re meeting with financial backers, signing a lease, hiring employees – and everywhere you turn, you’re spending more money. With so many expenses to juggle, many new entrepreneurs ask themselves: Do I really need a lawyer? Corporation, partnership, LLC – what do they all mean, and how do I go about setting one up? A lawyer can help you navigate the intricacies of Nevada business formation and make sure that you are protecting yourself from personal liability. Do you have partners or investors? A lawyer will make sure your corporate documents clearly reflect exactly what your agreement with those partners or investors is so there’s no question about who is responsible for what. Even better, a lawyer can also help you anticipate the problems you never considered – so if those problems arise down the road, you’re already covered. Hiring a lawyer to form your company generally costs about the same as getting the documents from an online source, but with a lawyer you’ll know that you are getting a customized business entity designed just for you. Starting a new business involves a huge amount of paperwork. Everyone wants you to sign a contract, from your investors to your vendors and your new landlord. Are these terms normal, or are they asking you to sign something totally over-the-top? Which terms are negotiable, and what does all this legalese really mean? A lawyer can help make sense of these contracts and can step in to negotiate on your behalf if you’d prefer to stay out of it. Need a release for your customers to sign? How about a non-compete agreement with your new employees? Your lawyer can draw up these contracts for you to make sure they say exactly what you need them to say – and that they comply with Nevada law. Can I ask my employees to wear a specific uniform? What kind of work can I have an intern perform? Should I trademark my company name? Once your business is up and running, there are plenty of small questions that will pop up from time to time. Trying to research these questions on your own can be tricky, but hiring a new lawyer just to ask a small question can seem like overkill. This is where having a relationship with a lawyer can be a huge asset. Since she already helped set up your business, your lawyer knows you and your business’s needs. With only a quick call or email, your lawyer will be able to answer any questions that may come up. This will let you focus on running your business without having to worry about these minor legal issues. Article published in the Reno Tahoe YPN newsletter. This Nevada Day, we’d like to extend our appreciation to our clients, peers and friends. We feel fortunate to live and work in a place with great people, beautiful landscapes and amazing opportunities. Cheers to the land we love the best! When your business sells goods or services, you expect to be paid. However, payment is not always the reality. If your business is not getting paid, you can seek repayment either informally or formally. If your informal methods of trying to convince the debtor to pay have been unsuccessful; consider formally seeking payment by filing a lawsuit. This article focuses on the realities of using the judicial system to collect amounts owed to your business. Once you file a lawsuit, the debtor has the opportunity to defend the action. The debtor may assert defenses that it does not owe as much as you think, that the goods were defective, or the services subpar. Fast forward—the judge has decided the debtor’s defenses are without merit and has awarded you a monetary judgment for the full amount you sought. Hey, you just won your lawsuit! Congratulations are in order, right? Wrong, merely winning a lawsuit and obtaining a judgment does not mean you automatically receive a deposit in your business’s bank account. Rather, that judgment only allows you to use the courts and sheriff’s office to enforce your judgment. In Nevada, those who have monetary judgments against another (“judgment creditors”) have a variety of statutory tools at their disposal to compel those who owe them money (“judgment debtors”) to satisfy the judgment. At its most basic level, Nevada’s debt collection statutes allow judgment creditors to satisfy their judgments by having the sheriff’s office seize property belonging to the judgment debtor. The sheriff’s office will then sell that seized property and give the proceeds of the sale to the judgment creditor. The judgment creditor can have this process repeated until the judgment is paid in full. Thus, judgments are only as good as the judgment debtor’s quality and quantity of assets. The question then becomes, how do you know what property to have the sheriff seize. Nevada allows a judgment creditor to obtain information directly from the judgment debtor, or any other person, concerning the judgment debtor’s property. For instance, judgment creditors may subpoena the judgment debtor’s accountants, managers, or any person when seeking information concerning the judgment debtor’s property. If that person refuses or fails to answer, they may become responsible for paying the amounts owed to your business. Sometimes, by the time the judgment creditor obtains its judgment, the judgment debtor has transferred all of its assets to a separate entity or to the entity’s principals in hopes of avoiding the judgment. Once again, the judicial process has a solution for the judgment creditor. The Nevada Supreme Court recently permitted a judgment creditor to obtain information concerning the assets of a non-debtor. Rock Bay, LLC v. Dist. Ct., 129 Nev. Adv. Op. 21 (Nev. Apr. 4, 2013). In that recent case, the Nevada Supreme Court allowed the judgment creditor to ascertain information concerning the assets of an entity that was not a debtor, but who participated in various financial transfers with the judgment debtor after a lawsuit was filed. This third-party was formed by one of the judgment debtors and it appeared to be used as a vehicle to hide money from the judgment creditor. The Nevada Supreme Court explained that allowing discovery into the assets of non-debtors is permissible if it will lead to the discovery of hidden or concealed assets of the judgment debtor. To convince a court to allow such discovery, the judgment creditor may show that transfers to the third party took place and that the relationship between the judgment debtor and the nonparty is sufficient to raise a reasonable suspicion concerning the propriety and permissibility of the transfers. When your business is owed money, you have various options available to you to seek payment. Typically, you should start by informally seeking to convince the debtor to pay your bill without having to hire a debt collector or without having to file a lawsuit. However, when that debtor refuses to pay, even though it has the apparent ability or assets to do so, your business should consider filing a lawsuit. John R. Funk is an Associate at Gunderson Law Firm, and can be contacted directly at jfunk@gundersonlaw.com or by calling (775) 829-1222. Electronic Service – Three Days for Emailing? The law is often slow to catch up with technology, but thankfully courts moved quickly to adopt electronic filing. Most members of the Young Lawyers Section living in Washoe County or Clark County have spent our entire careers with electronic filing and can hardly bear the thought of actually leaving the office and go stand in line at the courthouse to file a document. But the quick adoption of electronic filing left some oddities – namely, the handling of electronic service. Before electronic filing, documents could be served by hand or by first class mail. Because service by mail takes longer, the rules provide that a responding party shall have three extra days to respond when a document is served by mail. NRCP 6(e). This rule makes perfect sense. Then fax machines came along, creating a new method of service. Facsimile service is only acceptable if the parties consent, and still allows for three extra days to respond. NRCP 5(b)(2)(D); NRCP 6(e). As technology advanced, service by email became acceptable and was lumped into the rules with service by fax. Again, three days are added to the prescribed period to respond. Id. That’s where the logic starts to get fuzzy. Things became more convoluted when electronic filing was introduced. The Nevada Electronic Filing and Conversion Rules (“NEFCR”) were adopted by the Supreme Court and became effective on March 1, 2007. Second Judicial (Washoe County) has adopted the NEFCR. NEFCR 9(b) provides that the court’s electronic service provider must send an email to all registered users that a document has been filed. NEFCR 9(f) provides that electronic service is complete at the time of transmission of the NEFCR 9(b) email. Eighth Judicial (Clark County) has not adopted the NEFCR, instead adopting its own electronic filing rules. EDCR 8.05(a) provides that documents electronically served through that court’s electronic filing process are subject to NRCP 5(b)(2)(D) and, by proxy, NRCP 6(e). So what does all this mean? When documents are electronically served through the court’s filing system in the Nevada Supreme Court or in Washoe County, three days are not added to the prescribed period to respond. When documents are electronically served through the court’s filing system in Clark County, three days are added. Likewise, when documents are electronically served in accordance with an agreement between the parties, three days are added. Not surprisingly, this has created confusion. Practitioners in Washoe County regularly misinterpret the relationship between NEFCR 9(f) and NRCP 6(e) and mistakenly believe that they are entitled to an additional three days when documents are served through eFlex. This confusion is so widespread that the rules are rarely enforced as written and the Second Judicial judges are discussing revisions to the rules. There is an easy solution to this problem – stop adding three days for emailing. In today’s world of computers and smart phones, most attorneys check their email constantly. It is likely that the average attorney reads the automated notifications from eFlex / Wiznet within minutes of receiving them. By contrast, documents served by hand must be driven (or biked) from one office to another, processed through the firm, and eventually delivered to the attorney handling the case. Chances are, attorneys are able to access and read electronically-served documents hours, or even days, before they are able to access and read hand-served documents. Why then are attorneys granted three extra days to respond to documents served electronically? If logic ever existed for this rule, it does not exist today. The state and local rules throughout Nevada should be amended to reflect the realities of today’s electronic world. Adding three days for electronic service is counterintuitive and unduly dilatory. The rules should be modified and clarified to plainly provide that documents served electronically are deemed received the day they are served without adding three days. 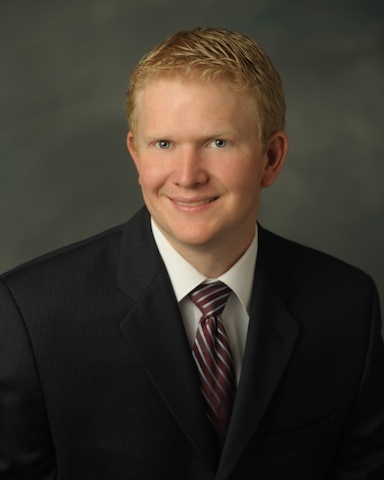 Austin K. Sweet is an Associate at Gunderson Law Firm. He earned his Juris Doctorate from Boston University School of Law and can be contacted directly at asweet@gundersonlaw.com or 775-829-1222. Honesty and excellent communication are the hallmarks of successful people and businesses. As the saying goes, “say what you mean and mean what you say.” The contracts you use to solidify your business deals should be no different. It is commonly believed that lawyers make their money inserting excessive legalese, subparts and other confusing language into otherwise intelligible agreements. The truth is that confusing contracts lead to litigation. A good attorney will work with you to draft precise, clear and succinct contracts to help your business succeed. So, you’ve reached an agreement with another person or business. What do you do now? Use the steps below as a guideline to make certain your written agreement is helping you and your business. All contracts require that the parties have reached a “meeting of the minds” on the essential terms in order to be valid. There must be a fundamental agreement as to who is entering into the contract, what they are each promising to do, and when they promise to perform. From time to time the parties may think they have reached an agreement up until they begin to reduce it to writing. Further, separate parties may have an understanding or belief that is not properly reflected in the contract itself. Remember: If it isn’t in the contract, your understanding or belief may be incorrect or not shared by the other party. Make sure that you have reached a precise agreement and that the agreement reached is specifically reflected in the contract as drafted. If you one day must enforce your contract in the courts, the judge will look to the contract as drafted to determine the parties rights. Therefore, it is imperative that the contract be clear on its face. Look for holes and fill them. Define terms used. Any ambiguity could be interpreted against you, so at the outset read through your contract critically to make sure a third party would understand the specific understanding and promises made by the contracting parties. Remember though, the clarity of a contract is not reflected by its length. It is important that the language used be precise and understood by the contracting parties, but it doesn’t mean that over-drafting will help you should things go side-ways. As such, avoid using contracts with words like “insofar,” “whereas,” “hereby,” etc. or unnecessary boilerplate phrases. Generally, legalese terms and boilerplate language can be simply removed to make the contract more understandable and clear. A good contract both reflects the parties mutual understanding of what is expected of both of them while providing the proper protections should anything go awry. The more clear the expectations of each are laid out in the contract, the better. Addressing concerns, questions and specifics up front will save you time and money later. A more experienced lawyer once told me “when people enter into contracts, everybody is in love and they don’t think through what will happen when everything falls apart.” Learn from other’s mistakes and think ahead to what you’ve agreed will happen when and if the other side doesn’t perform. What penalties are there, if any? Where have you agreed to handle your dispute (city, state, court, arbitration, etc.)? What law will apply? If there is a dispute, is the prevailing party entitled to attorney fees and costs? Make sure you negotiate, understand and agree to these terms in the beginning as they may very well help you in the end. Have an attorney review your contracts, ask questions and revise your agreement as necessary. A well-drafted contract will save you money in the long run. It also helps the parties communicate their expectations and understanding so that when they do perform, they’re doing what they agreed, not what they thought they agreed to. You can’t make good deals with bad people, and litigation is never a good business venture. If you can’t agree on contract terms, in some instances it’s a sign of issues downstream. Take the time to ensure everyone is in agreement, that everyone understands the contract, and that you are comfortable with its terms so you can move forward in a positive direction. Also take the time to have both sides seek the advice of separate legal counsel. In the long run, you and your business will be more successful because you took the time to do it right. Catherine Reichenberg is a Senior Associate at Gunderson Law Firm, and represents a variety of local, regional and national clients from business owners, commercial and residential real estate brokers and agents, homeowners, professionals, developers, contractors and others. She can be contacted directly at creichenberg@gundersonlaw.com or 775-829-1222.